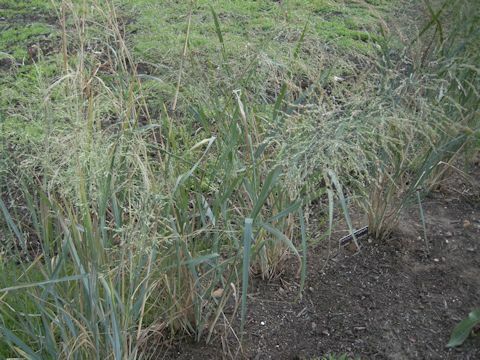 Switchgrass (Panicum virgatum) belongs to the family Poaceae (the Grass family). It is a perennial herb that is native to much of North America. This herb grows in prairies, pastures and roadsides, and it can reach up to 2.7 m in height. 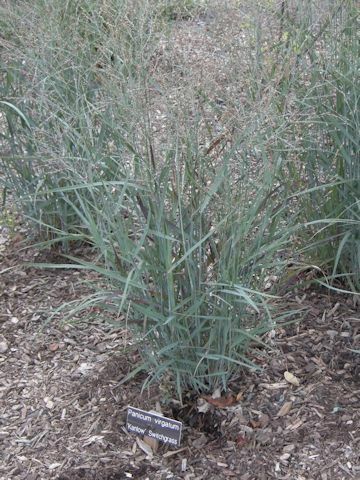 Switchgrass is one of the dominant species of the central North American tallgrass prairie. The leaves are 30–90 cm long, with a prominent midrib. The well-developed, purple-tinged panicles, often up to 60 cm long, are borne from August to October. They turn beige as the seeds mature in fall with the seed plumes persisting well into winter.